You may recall a few weeks ago when I was freaking out over LORAC's new Multiplex 3D collection, right? Well, I had the privilege to try out a few of the new items, and I'm really excited to be reviewing them! 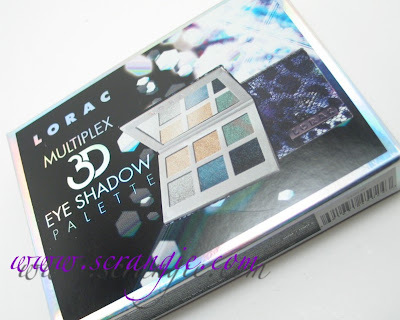 Today I want to talk about my favorite item, the Multiplex 3D Eye Shadow Palette. The box is holo. Oh man. I love it. But not just the box! 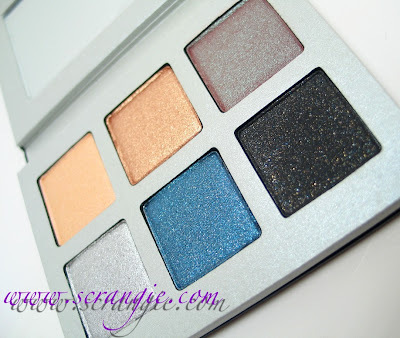 The palette itself is holographic, too! 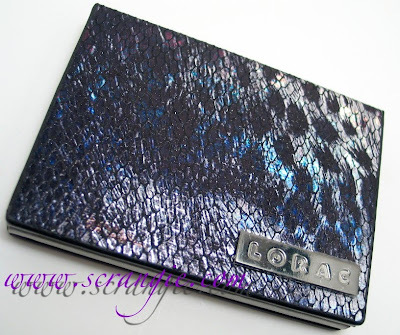 This seems like a mother of pearl-esque base with a black snakeskin pattern printed on top. It feels soft and leathery. It is absolutely gorgeous. 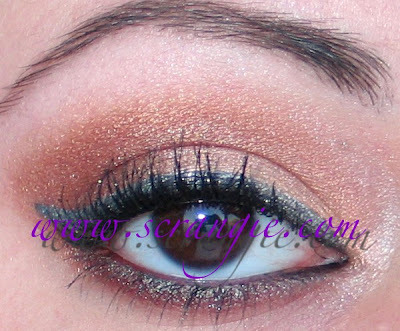 The top left shade is a light yellowy-golden peach with red pearl duochrome. The top middle is a reflective bronze metallic. The bottom left is a reflective metallic silver. 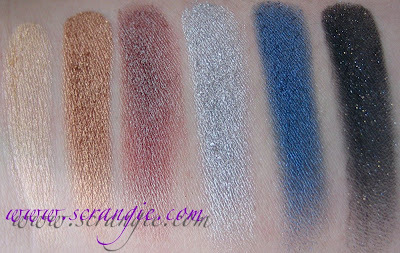 The bottom middle is a medium blue metallic with a sprinkling of microglitter. The bottom right is a black with multicolored microglitter. I love the duochrome on the first one. It's like a warm version of MAC Vex! Subtle, but so flattering and fascinating. Now, the official description of them says that they are holographic, but they aren't quite. They're all slightly duochrome and the black has multicolored glitter, but no holographic effect or hologram glitter to be seen. I am a bit disappointed by that, but not too badly because despite lacking holo, they're gorgeous shadows. The texture is really unique. I don't have a whole lot of experience with LORAC eyeshadow, so I don't know if they're all this way or not, but they're really fluffy. They're light and airy and soft, they make a lot of powder when you put your brush to them. They seem really loosely pressed and powdery. They apply pretty smoothly wet, and since the black glitter shade is so powdery, it's easy to mix in some water to make eyeliner. Actually, I used Pixi Eyeliner Sealer instead of water to make the eyeliner, but I used water for the gold color on the lid. I accidentally smudged mascara onto my eyeliner, so I tried to cover it up by adding more liner and instead ended up with my lashes covered in eyeliner! Oh, irony. Anyway, this was a really fast and easy look to do. Just two colors and they blended together perfectly. I did notice that the silver was rather sheer and needed to be built up more than any of the other colors, and I also noticed that the silver had faded quite a bit by the end of the night. I think I'll have to try it wet next time. The black was smooth and silky, but almost none of that beautiful multicolored (blue, gold and silver!) glitter showed up on the eye. My overall impression of these is positive. They're a lot lighter in texture than the shadows I'm used to, but they're also extremely soft and blendable due to that light texture. They apply just as nicely wet as they do dry. 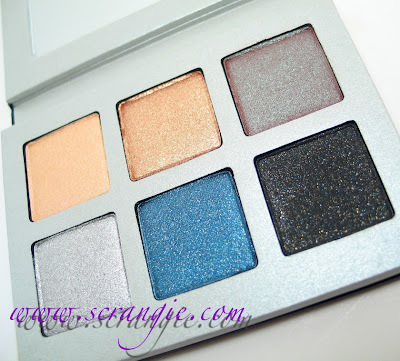 The colors mesh together well and you have both cool and warm options in the same palette. 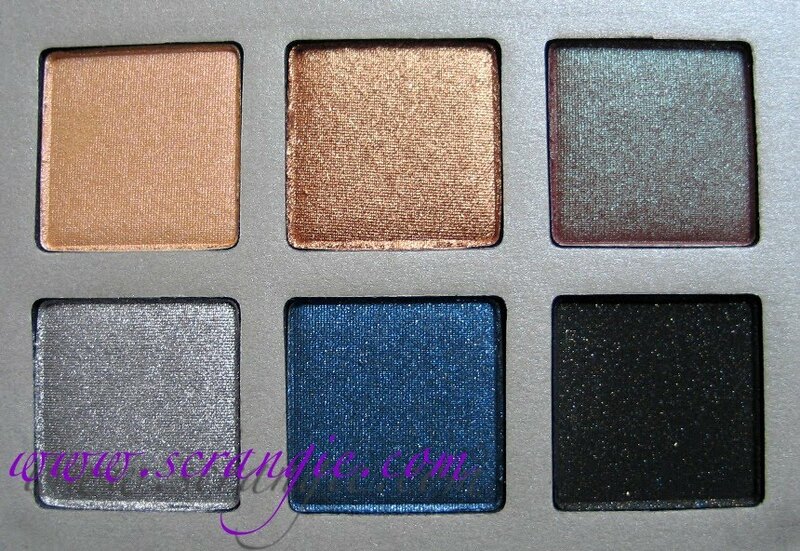 I also like that there's a shade dark enough to deepen a crease or create eyeliner included in the palette. The packaging is just amazing. It is truly a beautiful sight to behold. The hologram snakeskin palette is just to die for. They score major points with me in the great packaging department. 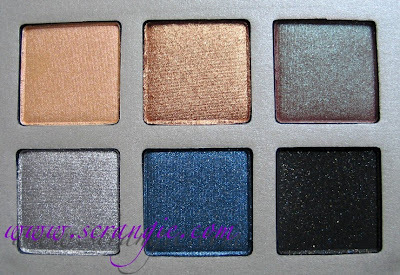 This is the kind of palette I'd like to display instead of hide it in a drawer! 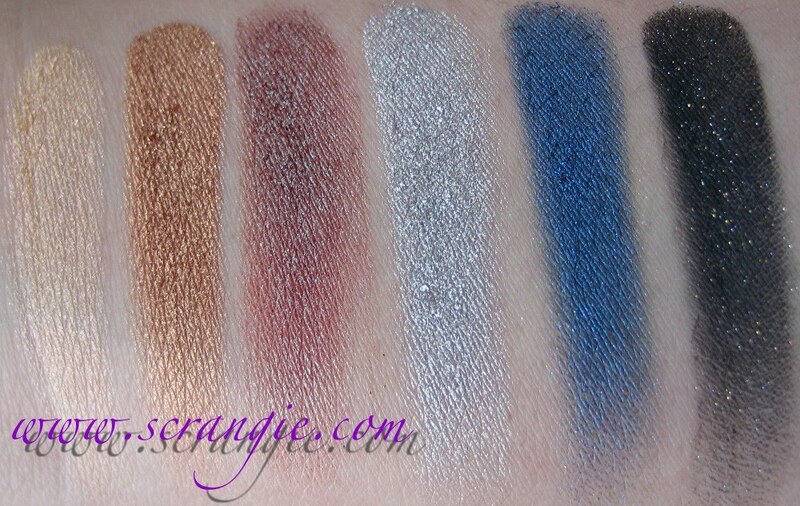 The only downsides for me are the fact that the colors aren't holographic, only mildly duochrome, the glitter on the blue color seems to be overspray (or just really subtle) and that some of the shades are on the sheer side. They can be used wet to make them more opaque without layering, but I usually prefer not to add an extra step. I really love the colors in this. I'm trying to think of a look to do with the blue. Silver and blue? Ooh, or a bronze smoky eye with blue liner? I also have the 3D Liquid Lustre to review, I've already reviewed some of the Multiplex 3D Glosses (3D is being re-promoted with this collection alongside a new shade called 4D), and I ordered the Ulta Exclusive Multidimensional Beauty Collection, but it hasn't shipped yet... It has an Ulta exclusive shade of Multiplex gloss! So, what do you think? Are you diggin' the Multiplex? And how hot is that holo snakeskin palette?! 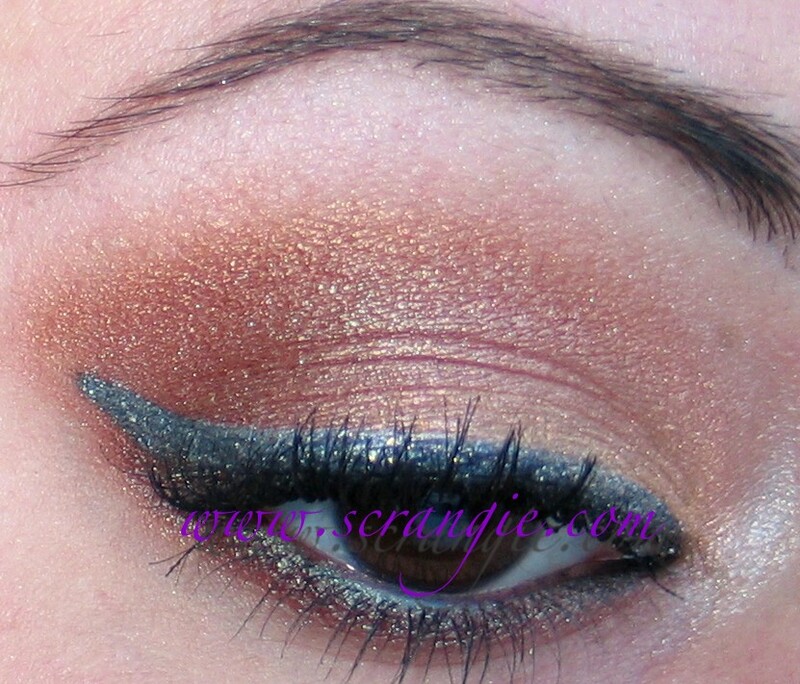 Oh my goodness, I LOVE Lorac shadows. The texture is just amazing. I got a couple on Hautelook and was immediately hooked; now I've got the 30-shadow train case! Wish I could be as creative as you with mine! The neon pink liner looks awesome! 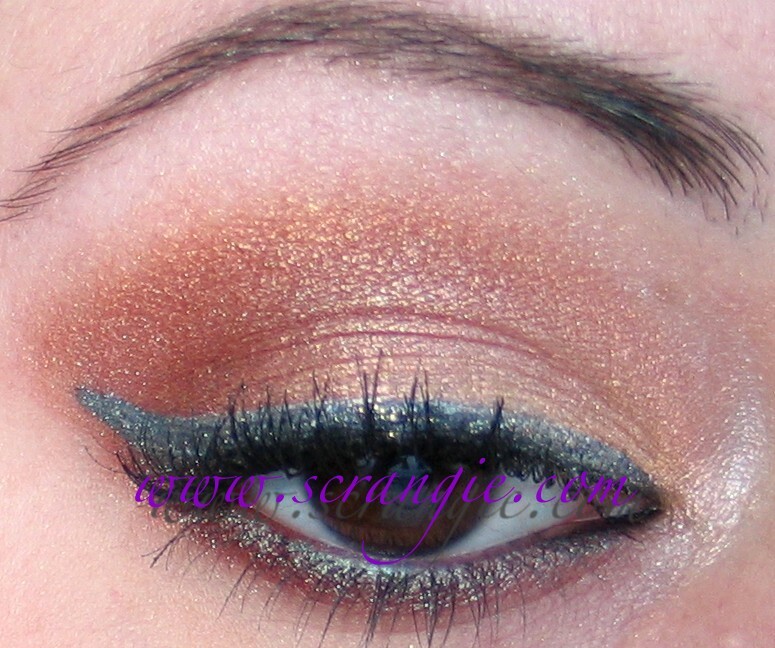 Nice palatte. I love the colors. Helps too that the case is holo! I feel these Loracs are too frosty and shimmery to really be very nice for me, which is a bummer, I love their lipstick. I love that Fyrinnae you wore the other day. 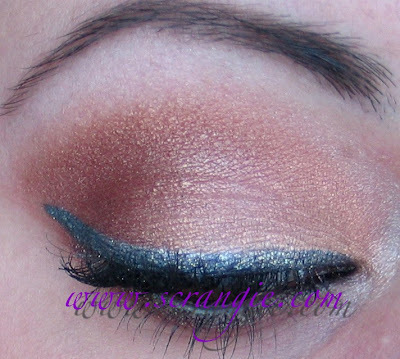 The peachy one with duochrome that you like looks a lot like MAC Motif eyeshadow, which I really love but always gets weird looks in the pan. On the eye it's really flattering though. However, the colors ARE very pretty. 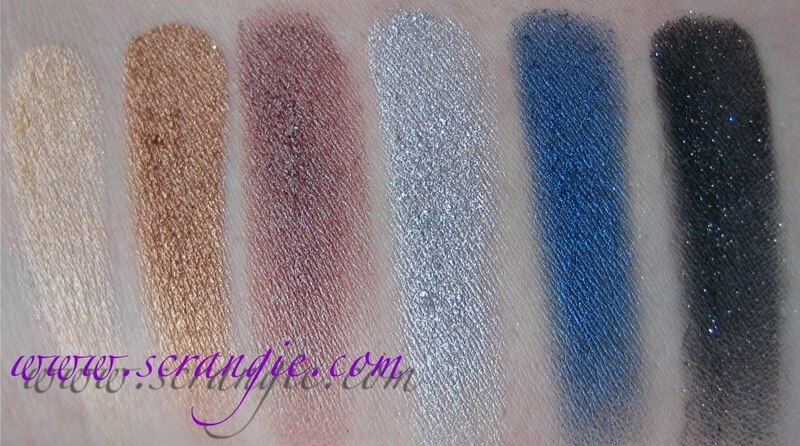 But most seem pretty easy to find cheaper dupes for, Probably with the exception of the upper left shadow? I can't WAIT for your review on Liquid Lustre. I'm soooo curious about it! so pretty! I think I want it. The top left color sounds awesome. That neon liner is fascinating! I have a few Lorac palettes. Nice shadows.